It is commonly understood−even among most Russian people−that living in Russia is great, so that it makes perfect sense for someone to migrate to Russia. There is plenty to love about Russia and also a lot to learn from the country. And you should not find it so strange that there are foreigners who genuinely love Russia and there are areas where Russia shines. Most people who have been living or simply traveling in Russia’s capital said life in Russia might differ from life in other European cities. However, it is all nothing but great advantages. It is no surprise, because with the eyes of the world on Russia, there is a lot of interesting things you might not have known about why Russia is one of the world’s most intriguing countries to live in. Are you curious yet? Then, get ready to know 6 reasons why Russia is a nice country to live in. Happy reading! Russia’s extremity is what makes it all the more desirable. It seems that everything in Russia is being done in the most extreme possible way. For example, when it comes to weather, it might be freezing cold outside or scorching hot it will melt your mascara down. The people are just as extreme. If a Russian is working, they are usually running on all cylinders, but if they are not working, you may as well try to line them up with a post, and it will appear as if the post is in motion. If they are being friendly, they will probably serve you all of the food they have in the fridge, but if they are being unfriendly, you better run for your life. If a Russian is in the mood to joke, they are very, very funny, but if they are not, back away slowly. Russian people rarely smile (the exceptions to this include those in the theatrical industry and clerks that work on commission), but one thing you should know is that if a Russian is not smiling, maybe that means that they are not happy or that it is just how they look by default. No offense, really. However, if they are smiling, it means the smile is genuine. They do smile sincerely. They differ from uptight Asian or other nations, who always follow the rules of courtesy and respect the concept of friendliness. On a serious note, when Russian people truly detest something, they are unlikely to conceal it. Russia is the only place where you can have a heart-to-heart talk, which means you can say whatever comes to your mind and will not be seen as disrespectful. The Russian culinary plate is very rich in meat, poultry, and fish that are often served on various occasions. It is very distinctive in taste and unique in presentation. The main feature of Russian dishes is considered to be an abundance and variety of products used at its cooking. There are numerous dishes made of dough such as pies, cakes, rolls, blini, et cetera. There is also unleavened dough such as dumplings and homemade noodles. Not only meat and dough based dishes, Russian dishes offer a great number of vegetarian dishes, too. They include mushrooms, pickles, and other vegetables. Since Russia is a multinational country, you can easily find Italian pasta and pizza completed with French sauce and gateau, too. Even some foreign dishes such as donuts, toasts, and croissants have become Russian cuisine breakfast. So, it is not unusual to spot numerous national cuisine restaurants like Japanese, Chinese, and French, and also fast food cafes work all over the country. However, all of them still follow the tradition of Russian hospitality and quality food. Russia is the country that has most of its popular cities thriving in subzero conditions, and as the night falls, Russian people step out to celebrate night and lights. All those social scenes usually thrive on local vodka, freshly brewed beer, gigs, and blondes all at Soviet retro drinking hot spots. Some places are made up of ballet, opera, classical music and theaters shows. Some other places are meant to be for those who are looking for never-ending fun, rave parties, and lit pubs to slay the night in style while sipping on the vodka and assorted cocktails. We know there are many Russian writers, poets, composers, musicians, singers, architects and other representatives of Russian art. If you live in Russia and are in love with art and history, you definitely have a chance to immerse yourself into its rich history and touch upon the treasures of world culture right where they were created. 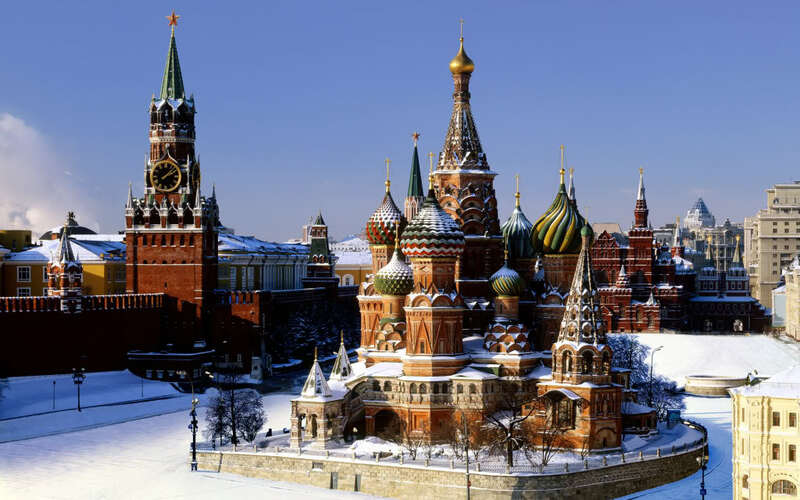 Russia has a lot of famous historical monuments, palaces, and museums that can make your adventure-planning daunting. Among the very best are Red Square, The Kremlin, and St. Basil’s Cathedral. But, there are also other popular sites that are worth to look at such as Lenin’s Mausoleum, Church of the Ascension, and The Hermitage. It is because some places have no closing hours, they work until 06:00 AM. They do not even charge cover fee. So, when you are feeling like nocturnal, or that jet-lag has seemed to kick in, it is completely okay for you to be restless. Do not worry, though, because going out for a stroll around Russia’s cities or planning a night out until sunrise is a possible thing. Even Moscow is more alive at night than in the day. You can have fun at night, from marveling at the greatest landmarks that are illuminated with a spectrum of colors to experiencing the thriving nightlife. It will surely make your life in Russia count. So, please consider those 6 reasons why Russia is a nice country to live in above before choosing which country you will live your entire life in.